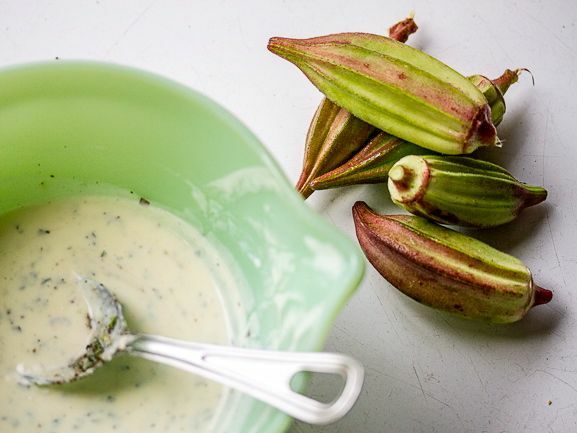 Serve this dip with fresh young raw okra as an appetizer. Combine all the ingredients, whisking to incorporate the buttermilk powder. Let stand, refrigerated, for at least 30 minutes to allow the flavors to mingle. Serve cold.